To get to my psychologist office tomorrow, first I have to make several other stops in the VA Hospital- one on the second floor for blood work, fourth floor for my "blood letting" and finally up to the seventh. (where my psychologist office is.) Perhaps if you read Cyrsti's Condo yesterday (and your memory is better than mine) you will remember tomorrow is my first meeting to pursue changing my gender markers. At the least it will make it easier for the person who called for me with my male name (she had to) to confirm the appointment. She said are "we" coming? Ha-ha! I said, "Indeed "we" will be there to see ""they." The point to all this jabber is riding in an elevator as a trans woman just could be the most paranoiac experience I have next to bathrooms. Why? 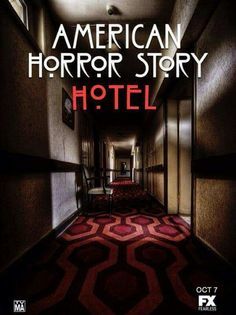 It is not because of any deep fears I have of elevators themselves, unless I happened to find myself on one with Lady Gaga or Kathy Bates on American Horror Story - Hotel. If you do---get off ASAP! I believe my fear of elevators to this day goes back to my earliest crossdressing in public days. Being "trapped" on an elevator (especially one with mirrors) brought a terror I can only describe as asking Lady Gaga to push the fourth floor button for me. All of my fears are re-introduced everytime Liz and I are going to a big event full of impossibly small attractive cis women in their impossibly high heels and impossibly skimpy black dresses. For sure, feelings NOT only experienced by me - but by so many other cis women to!!! So elevator time is only another long standing transgender paranoia which needs to go away. Many more people than not have been nice to me, or at the least didn't react to me at all. I suppose too, I'm lucky I only have seven floors to worry about. I hear rumors about "Gaga" and the Gang having parties on the thirteenth!